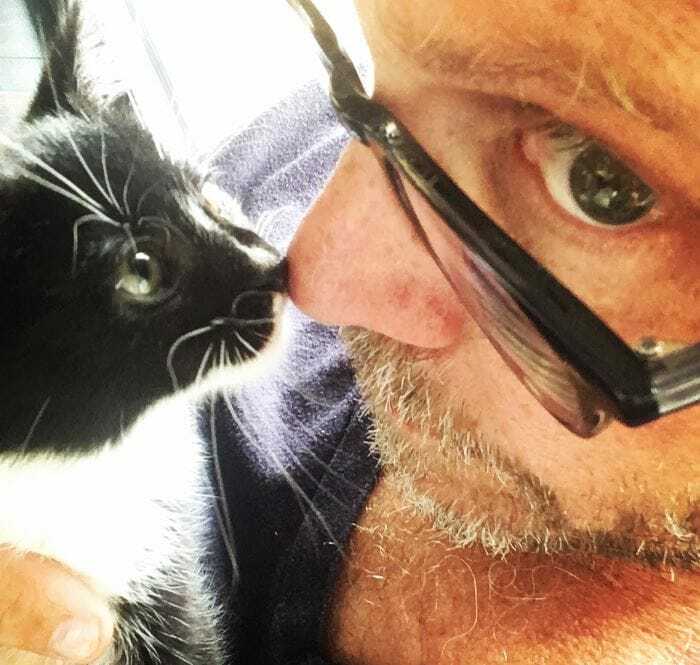 Chef Alton Brown is well-known for his love of all things food and now, it seems, he has a little kitten that has stolen his heart, as well. 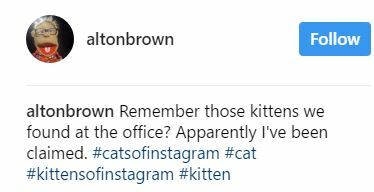 Chef Alton Brown is well-known for his love of all things food and now, it seems, he has a little kitten that has stolen his heart, as well. 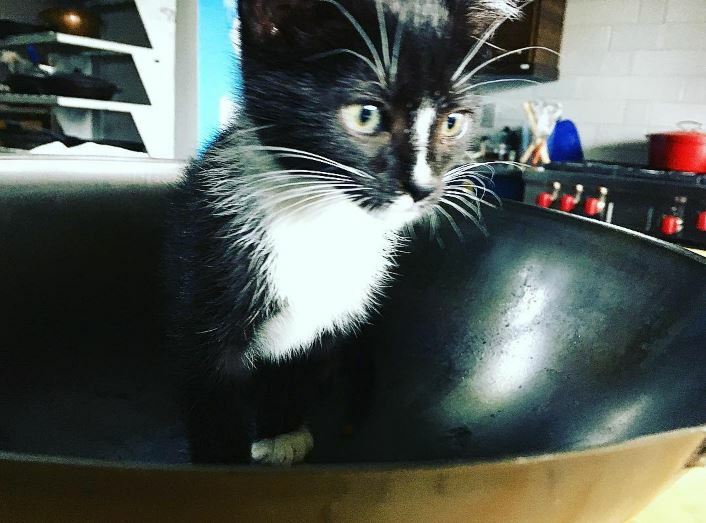 Could be that the little fella found his own place in the kitchen, in a wok, with Brown aptly naming him “Stir-Fry.” Too cute. Follow the adventures of Alton and Stir-Fry on Instagram.